Well, another Rogue Raid race is run and done. 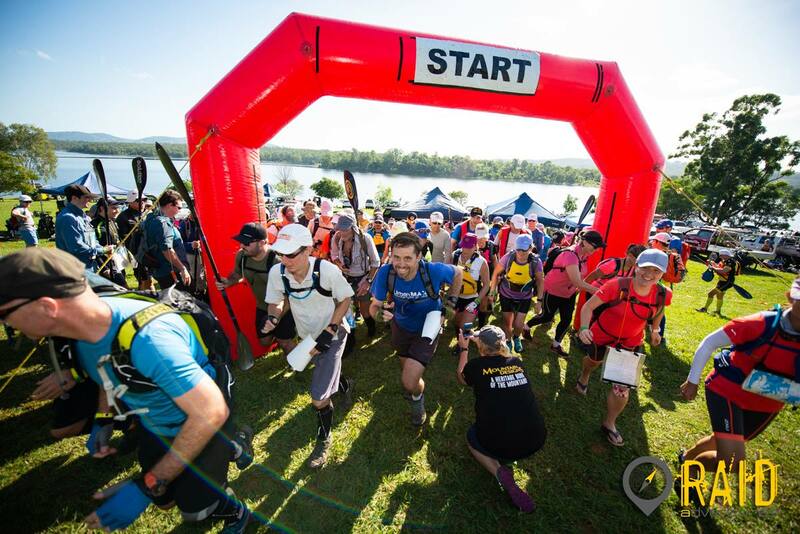 The ninth edition saw the largest field to ever tackle a 24 hour adventure race in Australia and, combined with the 6 hour competitors, saw almost 280 racers hit the Lake Samsonvale area running, kayaking and mountain biking to collect as many check points as possible before the clocked ticked over to time’s up. Let’s begin a recap of the race where the action began, with the 6hr teams who were faced with up to 21 check points spread across a 60km course under perfect blue skies. With plenty of strategic options to decide on which check points to go for, it was always going to be a challenge for teams at the pointy end. 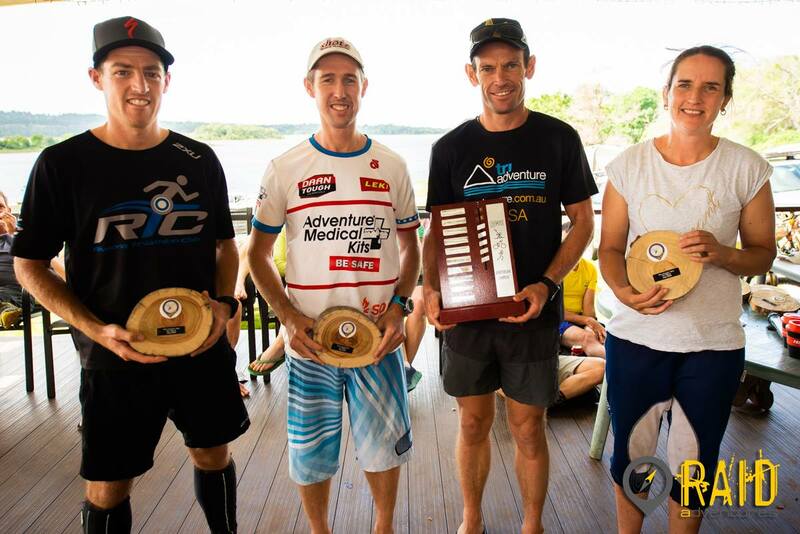 The overall title went to team Rochedale Runners who have made a habit of strong finishes in this race. The mixed team result was taken by team Cause We Can in a very tight battle with team Lantana, while the women’s team category was won by team Creak Groan 116. If I’m not mistaken, the 116 refers to their combined age (but perhaps I shouldn’t be making that public knowledge)! What was most encouraging to see were the number of novice teams and new faces taking on their first adventure race or rogaine for the first time and stepping up to the challenge. Let’s hope you’ve all now been bitten by the AR bug. Full results from the 6 hour race can be downloaded here. With the 6 hour event underway, the focus then turned to the 24 hour Rogue Raid. 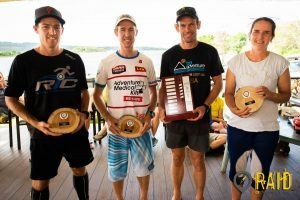 With teams from all over the Australian eastern seaboard, as well as from Singapore, NZ and New Caledonia, the 2018 Rogue Raid represented the most competitive edition so far. Also acting as the second race in the Adventure1 national series, many teams were vying for a spot on the national rankings. Before we take a look at the results at the front end of the race, it should be noted that this year’s edition of the Rogue Raid rates in the top three toughest so far. Indeed, feedback suggest it was the hardest with the exception of the very first edition in 2010. 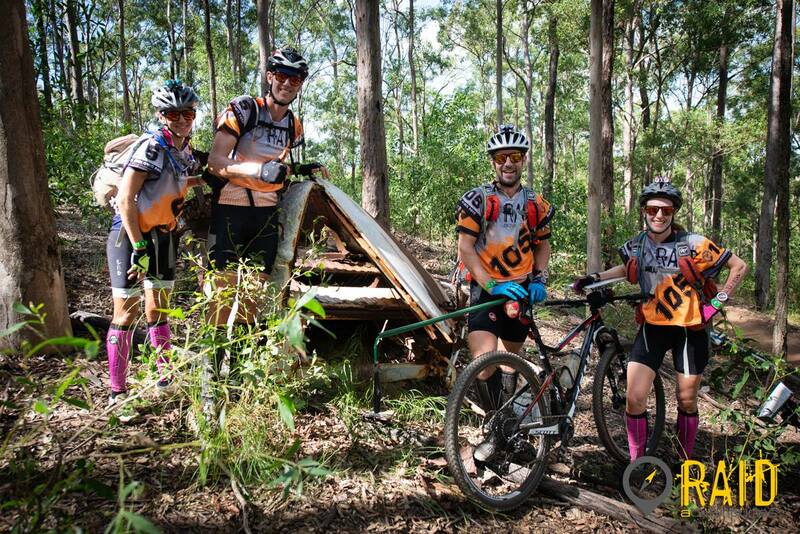 The leading teams covered close to 200km with over 5000m of elevation gain. 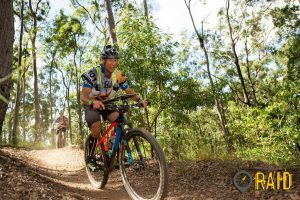 With the two main racing locations of Lake Samsonvale and Enoggera Reservoir separated by some sizeable mountain ranges, teams were always going to be challenged with some tough mountain biking conditions. With a finish rate of 62 out of 66 teams, it is a true testament to the grit of adventure racers to tackle any challenge thrown at them. The Rogue Raid is a race where experience and a strong strategy can play such a major factor. Standing on the start line, I had the sense that the top 3 teams (#1 Wild Earth Tiger Adventure, #2 Thunderbolt AR and #3 Thought Sports) were looking to sweep the course. At the same time, team #5 Rouge (represented by my team mates from Port Macquarrie as I sat out this race), felt that the course could not be swept and were therefore intending to drop the whole first run leg which contained just 2 CPs totaling 40 points. Although it’s hard to say what the right choice was (if there was an easy choice, I’d change something about the CP placement or score value to make it hard! ), my gut instinct was that both decisions were not correct and that the best option was to just collect the closest of the two CPs worth 30 points. But really, what do I know? As an aside, if you have not had the chance to check out the tracking system of teams, do yourself a favour and replay the race online here. 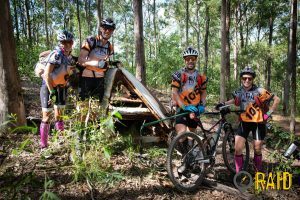 Despite giving themselves a head start on the stage 2 bike, team Rogue were caught be a flying Wild Earth TA team by the time they read transition at Lake Enoggera. 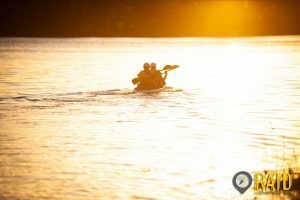 All four lead teams elected different routes on the subsequent paddle, trek and bike legs, with Rogue dropping a number of check points and all teams having a few navigational wobbles. 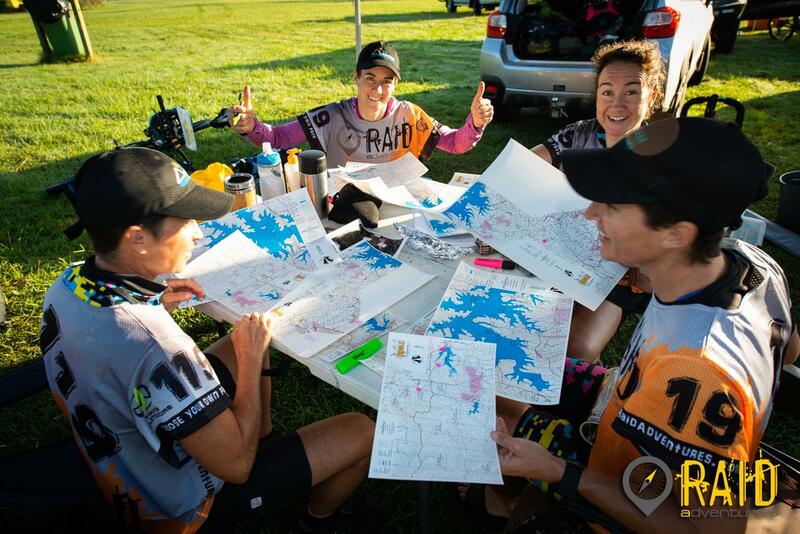 By the time the teams had made it back to race HQ at the end of stage five, Wild Earth TA, Thought Sports and Thunderbolt had still not dropped a check point and were within about an hour of each other, with team Rogue 200 points down. At this point, the competition lit up on stage 6. Team Wild Earth Tiger Adventure failed to collect a 90 point check point, falling just short of it on their initial approach in the dark. 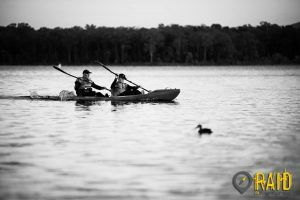 Thunderbolt also opted to drop a high value 100 point CP at the far end of the trek leg and compounded their woes by swimming across the lake in violation of the stage rules – an honest mistake that landed them an 80 point penalty. Meanwhile, Thought Sports were nailing the stage with great navigation and foot speed on the thick gullies surrounding the edge of Lake Samsonvale, collecting all but 10 points, with team Rogue also having a strong stage closing the gap to the lead teams. Onto the final stage and there was everything left to race for. 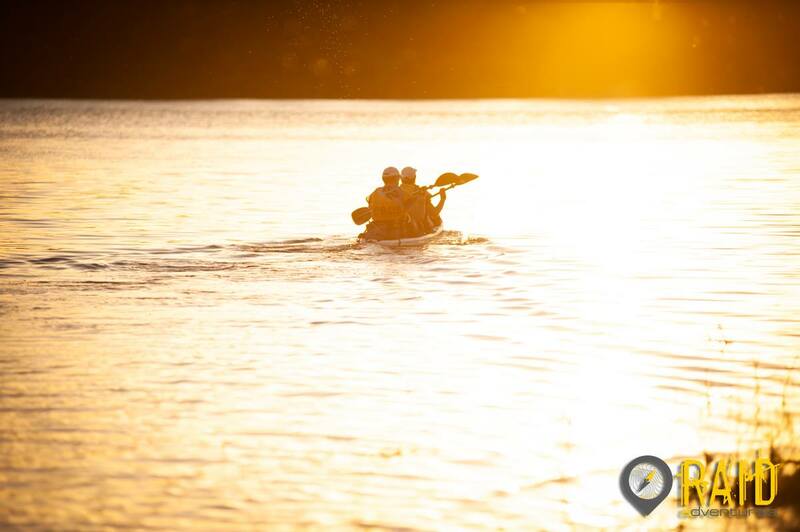 Thunderbolt hit the water first and, along with Thought Sports opted to paddle clockwise while Wild Earth TA and Rogue paddled anticlockwise. With the points penalty and the fact that they finished 26 minutes early, last year’s national champions Thunderbolt slipped to fourth place. Wild Earth TA made an uncharacteristic navigational mistake approaching their first kayak control which let Rogue catch up to them on the water, but were still ahead on points. 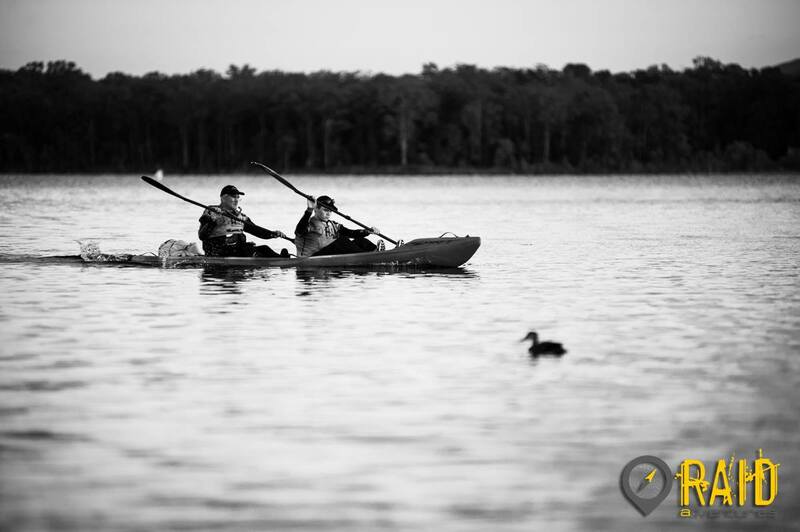 Amazingly, it came down to the final check point on the kayak leg for these two teams. Rogue took the risk that they could get it before time ran out while Wild Earth TA headed for home. The gamble paid off with Rogue finishing with just over 2 minutes to spare with the extra control enough to net them second place with Wild Earth Tiger Adventure in third. Thought Sports finished the race with a strong and consistent performance to take the overall title. Full results can be found here. With such a mixed bag of results, the Adventure1 series has opened right up with Wild Earth Tiger Adventure and Thought Sports tied for first. 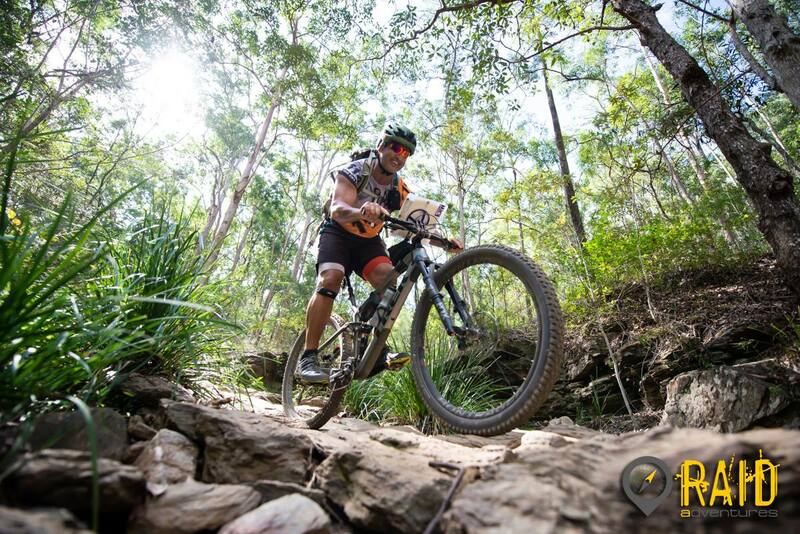 Thunderbolt slip to third, while Rogue Adventure climb two places into fourth and BMX hold steady in fifth place. While the competition at the top end was fascinating to watch, there were a number of commendable performances throughout the field. Team Peaky Blinders won the mens division of the race in fifth place overall, edging out Pretty Flash who finished in seventh. The Mountain Designs Wild Women team put in one of the performances of the race to win the women’s division and take an incredible sixth place overall. Both the Wild & Co and Every Day Life Fitness Tiger teams put in solid performances to cement their place in the top 10 of the national series. Team Not Serious Enough For Lyrca were our first pair team home in ninth place, followed by two strong Kiwi teams racing as pairs, Dated Loaf and Pikelet (first veteran team) and Tough Like Jelly. 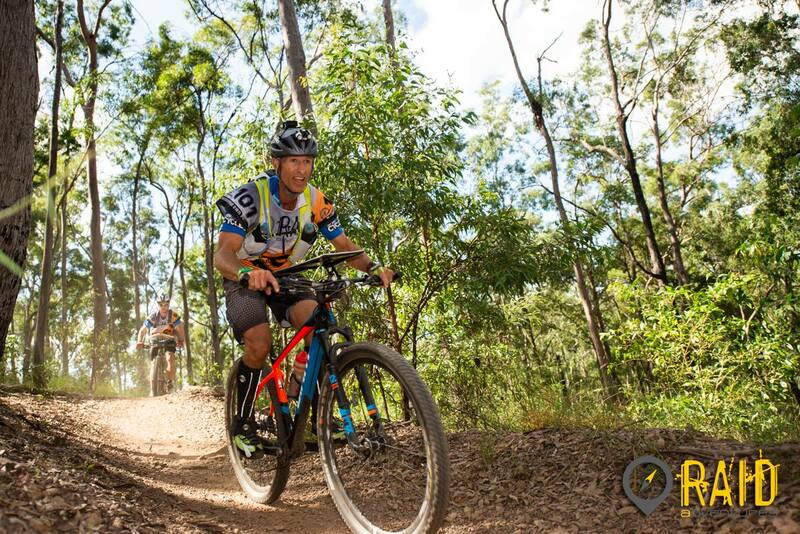 Two special individual performances worth noting are those of Russell Stringer from team Wild Earth Tiger Adventure who has raced all nine editions of the Rogue Raid and podiumed in every one of them, along with Dave Schloss who has won all four of the Rogue Raids he has entered. All of that recognition above, of course, should not exclude the amazing effort put in by all the teams on what was a challenging course. I’ve said it many times before it is inspiring and motivating to see teams pushing through the literal and figurative dark moments, with plenty of amazing tales from the course. One point of interest was that a number of teams reported finding a hidden tunnel or cave on course. I never spotted this on my course scouting trips – I’d love to know exactly where this was if any teams can point me in the right direction. Make sure to check back on the Raid Adventure Results Page for the all the post-race event analysis. This includes the full results, timing splits for each team, GPS tracking analysis of the A1 teams, GPS file downloads, leaderboard splits, event maps, a number of photo galleries and race reports and videos from various teams. Indeed, please send through your race report and we’ll get them up online. A big thankyou should also be made to an amazing team of volunteers: in no particular order Adam, Jo, Erren, Paul, Adam, Scotty, Michelle, Suwati, Ian, Kevin, Craig, Jeremy, Derek, Todd, Sally, Luke, Vince and Donna. A thankyou also extends to event sponsors the Moreton Bay Regional Council. So, what’s in store for the Rogue Raid looking towards the future? 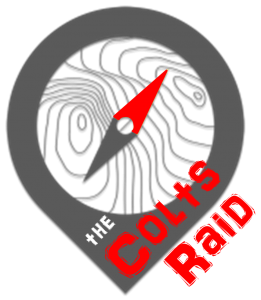 Well the sad news is that there won’t be a 24hr Rogue Raid in 2019. The good news, though, is that in 2019 we will be hosting the Rogue Raid 100 race: Australia’s first expedition length, rogaine format adventure race. Hosted from the Gold Coast Recreation Centre, this is set to be an amazing course, an incredible challenge and experience not to be missed. Entries are scheduled to open on 2 July 2018. We have catered for a field of 106 competitors in our logistics planning at this stage and will be opening the event up to pre-registrations for teams qualifying under our volunteer rewards scheme. If demand exceeds this number, we will look at options for expanding capacity. 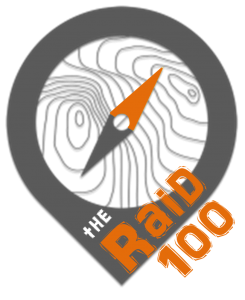 Beyond the Raid 100, the Rogue will return as a 24 hour event on the weekend of 25-26 April 2020. I’m just about to commence permit negotiations for a course that will be both unique and spectacular – safe to say nothing like this will have been done in south east Queensland – assuming I can get the permits up! The only clues at this stage is that trekking will feature much more heavily than biking, and the paddling will be its own special challenge. Of course, the Raid action is far from over for the year. If the Rogue Raid was not enough, grab an entry for our 3/6 hour Wildfire Raid on 28 July in the Redlands area and the 2/6/12 hour Mojo Raid in the Lake Moogerah area on 15 September. See you at another race soon!